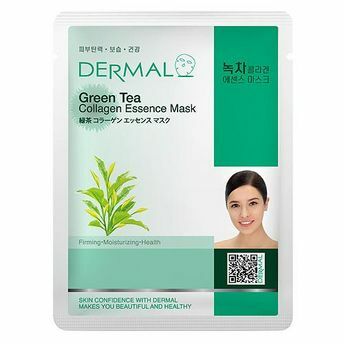 The Dermal Green Tea Collagen Essence Mask protects the skin, leaving it feeling soft, smooth and healthy looking. Green Tea extracts, known to be powerful anti-oxidant help protect skin from the effect of environmental damage. This skin rejuvenating sheet mask contains the goodness of Green Tea extracts 1.0%, Vitamin E and collagen leaving skin feeling soft, refreshed and perfectly hydrated.